Carolyn Tyler: Growing up in this part of San Francisco isn’t easy. Violence and gang activity are part of every day life in Visitacion Valley.  Nine years ago, a group of volunteers wanted to do something to stop the cycle of violence so they created Real Options for City Kids, or ROCK. Working with other city agencies, ROCK is giving these inner city kids a place to go on the weekends and helping them with homework after school. Curt Yagi: There are a lot of housing projects, a lot of low income families over in this area and there’s really not a whole lot of opportunities. Tyler: Curt Yagi is a former volunteer who now serves as the nonprofit’s Executive Director. Yagi: We provide a safe environment where they can maybe develop some leadership skills or just have a sense of belonging to somewhere. Tyler: Like here, at the Visitacion Valley Elementary School. Program Director Heidi Kilgore has been visiting kids for eight years. She’s seen the result of her time here in the faces of kids she sees around the neighborhood. Heidi Kilgore: All of our programs, we strive to have them contain these youth development elements: leadership, skill building, celebrating success, relationship building and community involvement. Tyler: There are only two full-time employees at ROCK, the rest of the staff is made up of volunteers. ROCK serves nearly 350 children each year, with the help of 130 volunteers. The program is designed to serve girls and boys ages seven through thirteen. Yagi: It’s really this big family that supports the community here. Tyler: Eric Hansen is part of that family. He’s been volunteering here for the last three years. Eric Hansen: It’s just something different and enjoyable to do to spend time with the kids here as opposed to always being in the work world. Tyler: Some of these kids stay with the program and become volunteers themselves. Ely: It’s fun and it’s like giving back what I learned from ROCK. Aurora: It keeps children inside instead of outside and safe. Tyler: But for those kids being helped, the attention is priceless. Joi: I feel safe because there is nobody that can hurt me. Tyler: That, says Yagi, is what the program all about. Yagi: Our purpose is to come over here into this neighborhood, to be a part of this neighborhood and provide the opportunities that these kids might not otherwise have.